How to choose a used tent? When you are thinking about buying a tent, sometimes looking at what is available second hand/used is an option worth considering. As you may have already discovered, new tents, depending on their make and model, can be very expensive and you won't always have the budget to pay the top price for it. What should you consider when buying a used tent? That's what we will cover in this story for you, and hopefully you can make a wise choice when it comes to your purchase. First up, if you are new to tent purchases (because you are new to camping or haven't camped in a tent before), we recommend you read our article on what to look for when buying a tent . That's a good place to start before your second hand search begins. Some of those tips in that story, will apply to buying new or second hand tents. However you have decided on what tent you want to buy, you should have done some homework on if that tent is the right one for you. Your search for the tent of your dreams, needs to be narrowed down well before you start looking, otherwise you might be overwhelmed for choice, and feel a bit lost when looking. Without doing your homework on the tent, your choice could be the wrong one. Now comes the harder part - finding someone selling that particular tent. Places to try are eBay, Gumtree, classified ads, and online second hand camping sites. The tent you want may not even be advertised at the time you start looking, so be prepared to continually scour these above places for any new listings. Set an alert if the system allows, so you know when a certain item is listed, so you can be ready to pounce! If possible - you should try to narrow down your search for a second hand tent to a location where you can see the tent in person. Why? Because you are going to really want to inspect the tent yourself and not rely on the seller's ad alone. ﻿What to look for in a used tent? When you have found a second hand tent to look at before you buy, you should have a checklist of what you will need to inspect. It can be a little daunting/uncomfortable going around to someone's home (in most cases) to view items and thoroughly look at the tent. But you don't want to buy a second hand tent, sight unseen. Take along another person with you, not just for safety, but a second set of eyes on the tent can be helpful. This might seem the most obvious and it is. The condition of the tent. The tent should be set up when you arrive, or you should help the owner set it up. You want to see it upright and functional. Don't buy a tent that is still in its bag - if you can't see it set up, then walk away. Look closely at the tent. Are there any rips in it? Are the seams still intact or are fraying? Is the flooring of tent still intact, attached to the rest of the tent, and has no tears? Check the zips on every part of the tent - do they open and close easily? Check the screens do not have rips/tears. Rips and tears in any part of the main tent might seem minor at first. But under pressure or in poor conditions, those minor rips, can get worse. Avoid a tent that has them. Seams can be repaired depending on the tent. Once again, I would avoid any tent where the seams that are unravelling. 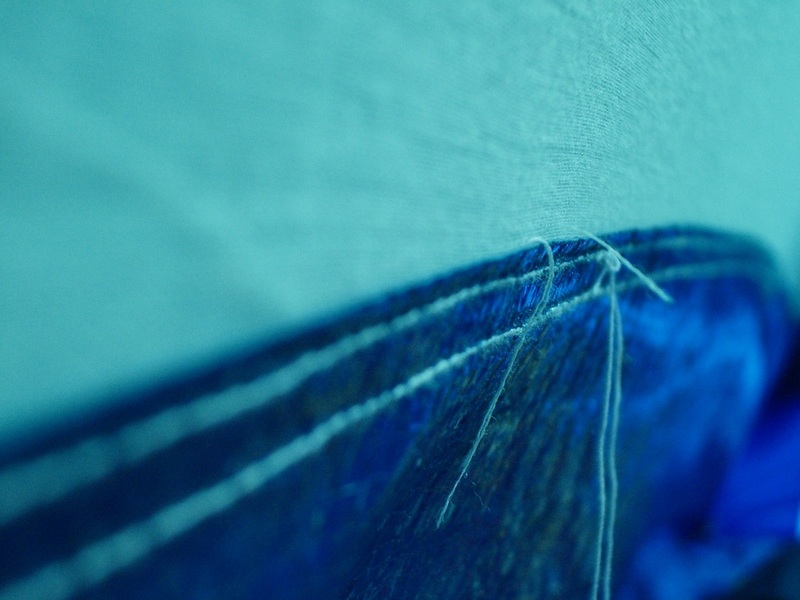 Screen repairs are possible, and not as crucial as the fabric or seams. If there is a rip/tear in a screen, you should ask for a price reduction on the tent, especially if it wasn't advertised. Help put the tent down if the owner is happy for this to occur. It's another way to see parts of the tent, such as the poles, that could have been hidden from view when set up. This also gives you an idea on the ease of taking it down. A smelly tent means a few things - some are fixable, some are not so easily treated. Get inside the tent, and take a great big sniff! Mold and mildew are a problem with tents if they are not completely dry when put away/stored. It's a number one rule with caring for tents - always store a tent completely dry. On some tents, where mildew is not too extensive, it can be washed away with water and non detergent soap, but it depends on how ingrained it is into the fabric of the tent. You will need to look closely at the tent for signs of mildew/mold if the tent smells. If the tent has evidence of being stored wet, you do need to think carefully about the purchase. Is this something you can fix at home? How extensive is this the mildew? Another smell in a second hand tent, is a smell of vomit. Others have described it more like urine. Neither of them are great smells. I haven't personally smelt this in a tent, so I can't confirm or give you more information on the vomit smell, but it is due to the polyurethane coating which is applied to the underside of the tent fly or inside of the tent floor breaking down. Of course the smell might actually be due to vomit or urine and nothing else, but on this issue, you are going to have to trust your own smelling capabilities. If you smell vomit in the tent, then this is not the tent for you. It is treatable, but its more like hard work, so I would personally avoid. Smoking in a tent is a bad idea in the first place, but be wary that some cigarette smells can linger in tent fabric. Depends on your own tolerance to the smell if you want to buy a tent - airing and use of MiraZyme could rectify that smell. Just as you inspected the main tent for its condition, the accessories that come with the tent also need inspecting. Some parts/accessories can be replaced, so it may not be as huge as a consideration, but if you are buying them, its nice to know that they work. Look at the fly (if applicable) - check for tears, seams, etc. If has buckles that clip it on, check they are all working. Poles - are they all in working order? If shock-corded, do they all close correctly. Tent bag - can the tent actually get back into the bag it comes with? Can the bag hold the tent or is it falling apart (again, its not crucial, but if the bag is not great, you will be up for extra dollars to buy one that suits). Any additional awnings should be looked at very closely like you did with the tent itself. If an awning is included in the price, make sure it attaches to the tent as the manufacturer requires it to be attached. 1. Was it purchased new by you? If so, when? (if its relatively still new, it might be under warranty, and if so, you could benefit from that warranty if the seller has that documentation). If it is still under warranty, ask for receipt or warranty documents so you can claim if required. 2. Did you have pets in it? 3. What is included in the price you are asking for? (just because the tent has all the pegs and extra awnings, doesn't mean that they are selling them. Check, don't assume). There are some great bargains to be had when buying a second hand tent. 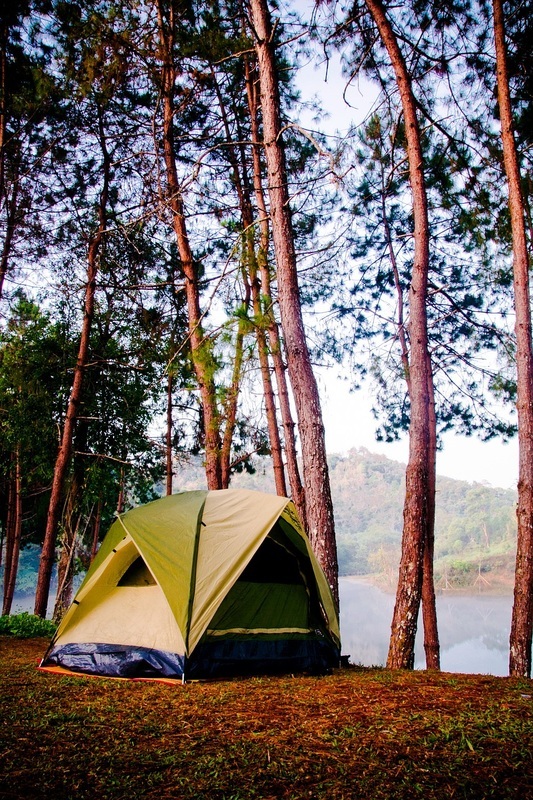 You could save yourself a lot of money, if you get the right tent at the right time! We ourselves picked up a terrific one at a fantastic price. You just need to make sure you have done your homework in advance of any purchase so you are well prepared and knowledgeable. Remember also that when buying a pre-loved tent, it may not be in pristine, brand new condition. If you wanted that, then you should buy new. There may be a few minor issues, and that is OK as long as they don't affect the performance and durability of the tent. Choose carefully, and you and your pre-loved tent could have a long and happy camping life together.